Having had several roles throughout her 15-year Grafton tenure, today Nakeysha Stevenson is a Program Support Supervisor at the Berryville campus. I always felt that I wanted to work with kids. I had a desire to help them change their lives for the better. I’ve worked in a lot of fields over the years, but never felt the satisfaction I sensed I would in working with kids. I first applied to Grafton as a part time Direct Support Professional (DSP). I felt like I found my place and that I was making a difference, even early on. After subbing for about a year, I then moved into a full time position. I’ve also had the opportunity to move into different roles within the organization. After my first few years, I moved into doing clerical work for a while, back to being a DSP and then into finance for several years. I seem to always come back to working more directly with the clients, though. So, I applied for and got hired as program support supervisor and am now back to working with kids. I always felt that I had the support I needed here, so I’ve never wanted to leave Grafton. I appreciate having opportunities to work in different departments. It’s helped me to be a better-rounded person. Having all of that experience helps me to be better in my current job. I can talk about the things I’ve done and gone through with my staff and they know I understand and can relate to them. No one client is the same. There is no one way to help a person succeed that is going to be the same as everyone else. In serving our clients, we always have to challenge ourselves and stay open and to learning something new. One thing is definitely the staff: they really want to be here and are committed to the mission. When people begin working at Grafton, they can look to their left and to their right and see other teachers and DSPs by their side, helping with day-to-day activities or through a crisis. They feel that support. The staff also feel that their voices are heard when they have issues or concerns. People like the fact that we have doctors and case managers on sight to whom we can go and ask questions. The people, like me, who have been here for many years — and there are a lot of us — are here because they want to be and because we have a level of support that helps to make us better at our jobs. No child is treated the same. Everyone’s treatment is different and the strategies we use to achieve progress are different. The clients at Berryville, where I work, are adolescents, so they have the ability to be a part of their own plan development. They help set their own goals and are even part of the treatment meetings that take place every two weeks. The treatment is very specific to them and to what they need to be successful. What does utilizing a trauma informed approach mean to you? How has it affected your work? It affects the way I go into any situation. A lot of things that the kids have experienced before they arrived here may have been traumatic, so we have to be very careful. Even something that seems small, like the tone of our voice, can be triggering to someone who has experienced trauma. I am always thinking about how to avoid inducing flashbacks of something they may have dealt with in their past. About seven or eight years ago, there was young woman at Grafton who had experienced a lot of trauma in her past. As a result, she would often get into a mood where she would just shut down. I was in a non-DSP role at the time, so I wasn’t working directly with her. I honestly don’t know what it was about me, but, as it turned out, my presence seemed to help bring her out of these moods. The staff would call on me when this client would start to shut down. I would step out of my office to speak with her and she would begin to open up. She saw something in me that allowed her to trust me and to know that she was safe. We even got to the point where she felt comfortable enough that I was able to take her shopping. 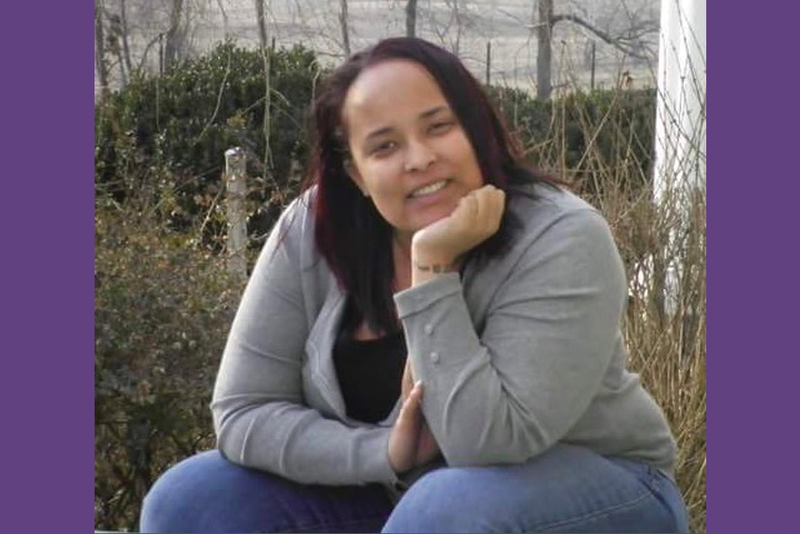 Over time, this client went from being very cut off from herself and her surroundings to successfully transitioning from residential treatment to a group home. In this job, sometimes you don’t know how much you’re helping. But, in this case, even though I wasn’t working in direct support, I was able to have an impact. Even when you doubt yourself in your job, situations like that one make you feel like “Ok, I am here for a reason. I am making a difference in someone’s life.” It’s hard to walk away from a job where you’re making a difference in someone’s life. What do you like about working at Grafton vs. other places you’ve worked? I love the people I work with. We bounce ideas off one another; discussing problems and figuring out solutions. I also really enjoy the kids I works with – after all, that’s the reason I wanted to work here in the first place. I also appreciate that we have so many alternative ways to work with kids – everything from a greenhouse, to music and art classes and different athletic teams that play against other alternative schools. We want to make kids’ experiences here as similar to a mainstream school as we can. I want to be totally honest, though; it’s not sunshine and roses every day. But I like the idea of helping a kid do better and get better through structure and consistency. Sometimes working with the more challenging clients is where you see the biggest difference. With the kids that have experienced the significant trauma and exhibit the disruptive behaviors, I can see the most impact. And that makes me proud. You do have to have a desire to really make a difference in someone’s life to be here long term. And we’re looking for long term because the kids deserve it.